Yes, we take Visa, MasterCard & American Express. There is 4% convenience charge though. Most orders are shipped same day or next day. How do I apply for credit a account? Please send a minimum of 3 credit references along with your bank details. Welcome to Lockfast.com. Please review the following services provided by Lockfast LLC concerning the use of this site. By accessing, using or downloading materials from Lockfast.com, you agree to follow and be bound by these terms and conditions. All content included in this site is the property of Lockfast LLC or its content suppliers and protected by U.S. and international copyright laws. You may download, view and print documents, text and graphics from this web site providing the document is used solely for informational purposes and it may not be modified or altered in any way. Except as expressly provided herein, you may not use, download, upload, copy, print, display, perform, reproduce, publish, license, post, transmit or distribute any information from this web site in whole or in part without the prior written permission of Lockfast, LLC. Lockfast.com; Lockfast LLC; Braelok; Excel; Burlok; Grafx and Riblok are registered trademarks of Lockfast LLC. All other company, product or service names referenced in this site are used for identification purposes only and may be trademarks of their respective owners. Lockfast LLC’s trademarks may not be used in conjunction with any product or service that is not Lockfast LLC’s or in any manner that disparages or discredits Lockfast LLC. Lockfast offers a variety of shipping options. 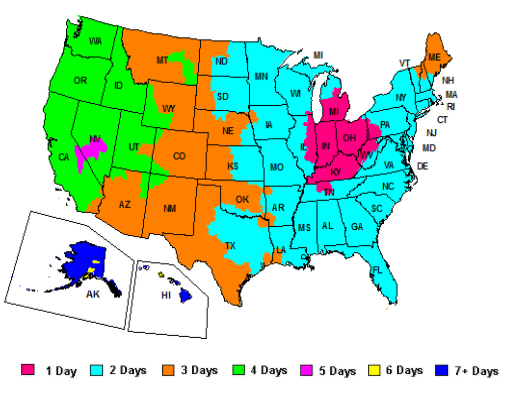 Our preferred carrier is Federal Express for ground, air, and/ or international shipments. For larger orders requiring LTL truck service, please indicate the carrier. Truck shipments will be shipped “freight collect” which means, if you have an account with the carrier, they will bill you direct. If not, they will expect payment at delivery. We also offer UPS carrier services or you may make your own freight arrangement as our docks are open 9-4 EST. We are unable to ship to Post Office Boxes. You must supply a street address. All items purchased from Lockfast LLC or Lockfast.com are made pursuant to a shipment contract. This means that the risk of loss and title for such items pass to the recipient upon delivery from the carrier. Claims for damage or loss are to be made with the carrier. Shipments from Lockfast LLC are automatically insured against loss unless specifically requested not to insure. We offer various payment options: credit card (Visa, MasterCard or American Express), C.O.D., or on an open account basis subject to credit approval. All payments must be in US dollars. Sales tax will be charged depending on the shipping address as required by law. Customers exempt from sales tax must have an exemption form on file with us. See Sales Tax Exemption Form. Lockfast LLC reserves the right to cancel an order or issue a Return Authorization (RA) for merchandise that is shipped in error, does not conform to specifications or for a discontinued item. Once an order is placed, it cannot be cancelled after it has shipped. Lockfast LLC is committed to working with you to ensure every product we supply meets your satisfaction. Upon receipt of merchandise thoroughly check your order for the correct material, color, size and defects. If a problem is found, call customer service as soon as possible. Sometimes, customer’s expectations on some of our products exceed what is considered commercially acceptable and not subject to approval as a quality reject. Therefore, it is important to read the warranty information included with specific product line information. All returns must have a Return Authorization (RA#) number on the shipping label. Material returned without the RA number will be refused. Returns, which we deem to be the fault of Lockfast LLC, will be credited for the full charge including shipping for that item. Returns which are the customers’ error, will be subject to a restocking fee depending on the item. Custom items cannot be returned except for quality problems. No returns will be approved if the item has been modified in any way or if it has been over 30 days or more from the original ship date. Call customer service to receive your RA number.